There was nervous excitement that this might actually happen. The remaining four of us had committed to putting our money where our mouths were and had considered seriously the time and graft we'd have to put in. The next step was to find a suitable location and premises. With East London resident Cal out of the picture, we could happily bin off the Old Street option and concentrate on places south of the river. We decided to combine our monthly meetings with a visit to a possible location, discussing our plans as we wandered the streets and investigated the local pubs with a semi-critical eye. 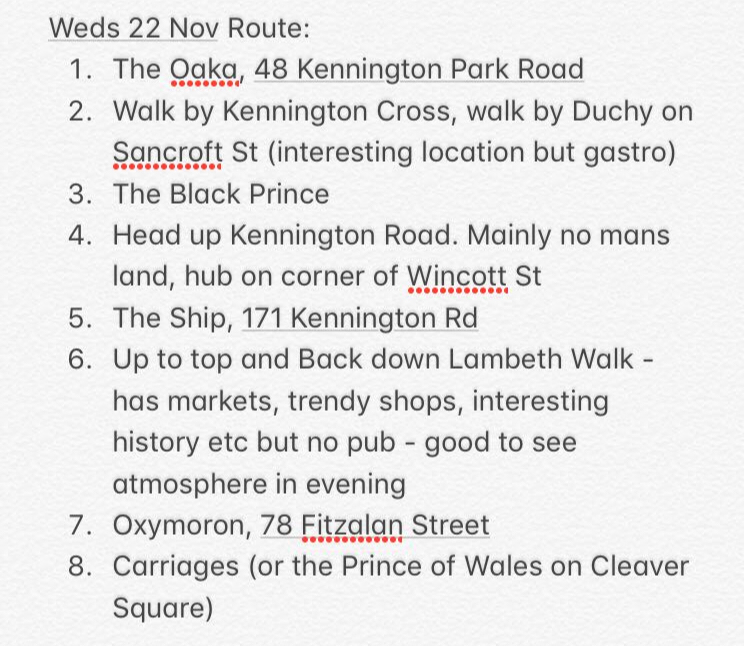 Kennington would be our first foray on a Wednesday night in November 2017. 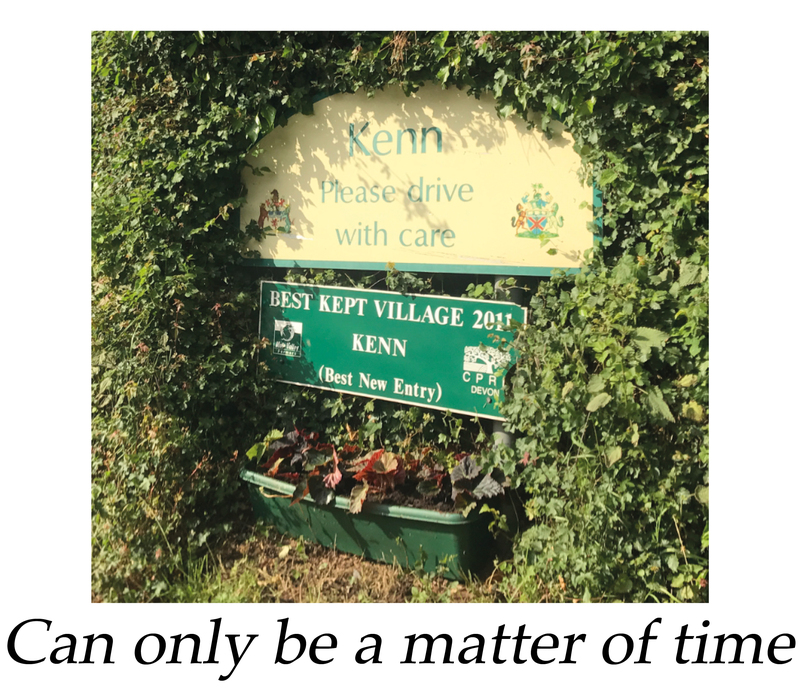 The home of Ken from parkrun (who has only lived previously in Kensington, Kent and Kenya), it wasn't an area we were overly-familiar with. Bez was predictably late but we finally settled in lovely pint of Citra in the oddly named Oaka at The Mansion House, one of the few tied houses of Oakham Ales. With the arguments about the England cricket team out of the way, it was time to explore the local terrain. It was impressive. It's always surprising how many treats are hidden away in the back streets of London and within seconds we were marvelling at some of the sights just off Kennington Lane. Honestly. We passed on the Duchy Arms—a little too gastro for our tastes we felt—and settled down for a pint of Arbor's Mosaic and a burger in the Black Prince to discuss the revised staffing plan. This is the really tough one. We are committed to not hiring anyone as it stands for the first year. It's just the four of us, plus as many favours as we can ring in. At the last meeting Bez had volunteered to run the pub full-time. Dave had drawn up what this would mean for the other three of us on the basis of opening Tuesday to Thursday evenings and all day Friday and Saturday. An uncomfortable number of Friday and Saturday shifts were required. Would our girlfriends be happy with this? Could we rely on mates to fill in any gaps? The plan assumed one weekend in four off for Bez. Was this realistic for him given family commitments? Tough questions. Luckily, the burgers arrived to distract us. By now well behind the agreed plan, we set off for a stroll up Kennington Road in the direction of the Imperial War Museum. The interest here is around the side-streets as the main drag is huge and perhaps unwelcoming, not the ideal setting for the homely local we were picturing. We popped into the Oxymoron at the Royal Oak, another mouthful of a name but intriguing nonetheless, with its long, narrow main room and an atmosphere not dissimilar to the Lord Nelson. Attention now turned to the second and final topic of discussion: setup costs. Over half a Guinness, gamely ignoring the cheese and wine club that had sprung up at the front of the pub, it seemed the work Stockers had done on likely fit out costs made the £10,000 we had each set aside to put into the pub look like it would get us into business. And so we ended the shop talk on a positive note. Making our tracks back towards Kennington tube we were pretty impressed with the area. Local pubs with character, plenty of people living in the area, interesting streets and nothing that was really offering what we were trying to do. Definitely a contender should a suitable premises come onto the market. We couldn't resist a final Guinness in the Dog House and were just in time to watch England start losing the Ashes. We're into 2018 and at Hackney Marshes, on a surprisingly sunny Sunday morning in January, we agree what sort of premises we are looking for.